2001: Downtime: The men confer before Schlender (left) interviews Jobs and Andy Grove at a private Intel event. Most of us who wrote in depth about the brilliant career of Steve Jobs sooner or later came to realize that we were complicit in the making of a modern myth. You simply couldn’t avoid it. And while it is true that Jobs was as charismatic as Clooney and as manipulative as Machiavelli, the legend we helped him construct served many purposes beyond pumping up his own ego. He was an irresistible force who knew that in order to bring to market the amazing technological wonders that bubbled in his imagination, he also had to become the Svengali of the digital revolution that was to be the hallmark of his generation. Nevertheless, Steve was merely mortal. And his storied life was one of dissonances and contradictions. He proudly flouted authority, yet he embodied extreme self-discipline. He wouldn’t suffer fools, but that wouldn’t keep him from turning on the charm to woo a “bozo” who had something he needed. He was the ultimate nano-manager, who also could limn the grand strokes of a big picture that others rarely could fully perceive without his help. While he never settled for anything but the extraordinary and dearly loved his Gulfstream jet, he led a curiously modest domestic life, especially after he had married and embraced fatherhood. He was intensely private, yet he hid in plain sight. He took his physical health far more seriously than most of us, yet his body utterly failed him. And the final irony is that when he died, by many measures he was at long last reaching his full stride. Yes, he had manipulated other people all along the way, sometimes callously. Likewise, we journalists exploited his fame and charisma whenever we could. But now that he’s gone, it’s plain to see that in the process of transforming all of our lives, Steve used himself up. Looking back on my 25 years of dealings with Steve as an outsider who occasionally was invited in, there were chapters in his story I was never able to tell, either because they would violate a personal confidence or because what I had learned didn’t really fit into a typical analytical business story. They are the kinds of observations and experiences that, for me, gave Steve a three-dimensionality and a depth of humanity that myths inevitably foreshorten. 1999, Product Review: Jobs scrutinizes the "dock" of icons that appears on the bottom of the screen of Apple's OS X user interface with an anxious team of engineers, designers, and marketers. Indeed, over the years the Jobs legend all too often bordered on cliché. And in many ways he liked it that way. Consequently one of the challenges—and there were many in telling his story — was to come up with apt and original ways to describe his uncanny knack for fanning something akin to lust for just about anything he chose to tout, whether it be a computer mouse or a software upgrade or a Pixar movie. Early on, when Steve was still in his twenties, one of his engineers called him a walking, talking “reality distortion field,” and the metaphor (which he detested) stuck. Likewise, “brash” and “mercurial” became the overused adjectives of choice for many when describing his notoriously prickly personality. In various Fortune cover stories I called him the computer industry’s “chief esthetic officer” at Apple (AAPL) and the “original impresario of virtual reality” at Pixar. And during Apple’s sluggish stasis in the early 2000s, prior to hatching the iPod that would turbocharge its growth, I mockingly called him the “graying prince of a shrinking kingdom.” Truth be told, that elicited a quick phone call from the “brash and mercurial” Jobs to tell me how it had given him a good laugh. Seriously. Jobs cultivated our relationship because he wanted to stay in the public eye in order to promote Next and Pixar and to rebuild his credibility as a business and technology savant. He knew that I also covered Apple for the Journal, and let me know that if I ever wanted to exchange “intelligence” or needed a back channel to understand the real dynamics of what was becoming an ongoing soap opera in Cupertino, he was around. Still, I was always the reporter and Steve was the source and subject; I was the ink-stained wretch, and he was the rock star. More than anything, he wanted to get his stories told to the biggest and best audience possible, and I could give him that. For my part, I could sense he was bound for even bigger things and wanted to have a front-row seat. And so the overarching purpose for our social and personal interactions over the next 20 years would be journalistic transactions. And not all of them would please him. 2001, Front-Row Seat to History: Schlender captured on camera the iPod launch event. 2001, Front-Row Seat To History: Nine Months before the iPod launch Schlender traveled to Macworld Tokyo and watched Jobs prep his keynote. The goal in most of my encounters with Steve was to bump him out of keynote mode and get him to extemporize about business, technology, the arts and media, politics and world events, and even his personal life. His instant analyses could be as sharp as they were blunt. That’s when you would begin to see the true depth of his insight and intelligence, and realize that his penchant for performing was also something of a smoke screen that obscured his incredibly quick mind. There was so much one could learn in an unscripted hour with Jobs that my top editors at Fortune in New York City timed trips so that they could tag along on my interviews with him. The most enlightening meetings often were ones that Steve himself initiated, usually with a telephone call to my home out of the blue and always with a very specific purpose in mind. One Saturday morning in May 1995, he rang up and asked me to grab my two grade-school-age daughters and bring them over to his house in Palo Alto right away. “I’m watching Reed this morning, and I’ve got something cool to show them” was all he would say. 2003, Cover Shoot: When photographer Michael O'Neill shot singer Sheryl Crow and Jobs for a Fortune cover, Schlender was there with a digital camera of his own. After making some popcorn and getting the kids some juice, Steve led us into the den and slapped a VHS cassette into the player. The music swelled and a stream of illegible, pencil-drawn storyboards simulating the opening credits of a movie flashed on the screen. And then, suddenly, an entirely new kind of animation burst forth in full color. All three kids were spellbound, even though the full animation had been completed for only half the movie. The soundtrack was finished, but entire scenes were only partially animated or in storyboard form. Meeting with Steve wasn’t always fun and games. On the Sunday after Christmas in 1995, Steve summoned me to his house to “talk on background” about the drama unfolding at Apple. This was around the time it had been rumored that either Sun Microsystems or Philips NV was about to make a bid to acquire the troubled company, and Steve was dropping hints that he and his “best friend” Ellison, the founder and CEO of Oracle (ORCL), were contemplating making their own bid for the company if that happened. A year later, in late 1996, rather than team up with Ellison to make a run at Apple, Jobs persuaded Apple CEO Gil Amelio to acquire Next for $400 million and take him on as a special adviser. Once inside, it wasn’t long — seven months to be exact — before he had engineered a palace coup and put his team from Next in charge. Jobs’ wilderness years had ended, and the sequel to the Steve Jobs Myth was about to begin. During the next seven years I wrote four cover stories about Steve’s transformative leadership at Apple and edited another. He gave Fortune an exclusive first look at the Mac OS X operating system. He also allowed me to be the only journalist to observe how frighteningly temperamental he could be during the final rehearsal for one of his Macworld keynote speeches. In 2001 he showed me the first iPod (under embargo) several weeks before it was publicly announced, primarily so he could see what I thought of his remarks for the introduction. 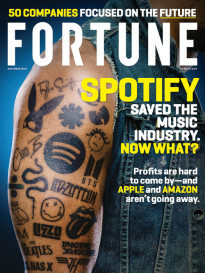 And a year later he gave Fortune a first look at the iTunes Music Store before it went live online. Of course, he took serious issue with some of the stories we published about him, and when he did, I’d be the first to hear about it. When we used him as the cover image for a June 2001 story called “Inside the Great CEO Pay Heist,” he threatened to pull Apple ads from Fortune indefinitely. Although I didn’t write that story, I encouraged him to write a letter to the editor to make the case that the story unfairly maligned him. He had a point, but in the end, he didn’t ever hold a grudge. Not against me, at least. I feel more strongly about Steve Jobs than any other famous person I have written about for one other reason. Like him, I have spent a lot of time in the hospital. Fifteen years ago I had my first heart attack, and when Steve heard about it, he called my hospital room to chew me out for being a smoker for much of my life. Six years ago I nearly died after a freak infection in an artificial heart valve turned into meningitis in my spine and brain, which in turn wiped out most of my hearing. I was in the hospital for five weeks, and Steve came to visit me twice, even though I was bordering on delusional at the time. I couldn’t hear him either, so he had to write down what he wanted to say to me, which included a joke about Bill Gates that shouldn’t be repeated. When I recovered, I started planning a book project I wanted to call Founders Keepers that would attempt to explain why certain entrepreneurs seem to be able to grow as business leaders even faster than the companies they create. Steve consented to be one of the primary subjects of the book, along with Bill Gates, Michael Dell, and Andy Grove. All of them had agreed to meet with me for a roundtable discussion in Silicon Valley in late November 2008. One week before the meeting, Steve called me at home. “I really hate to do this, Brent, but I have to back out of our meeting.” Maybe it was just my new hearing aid, but he sounded uncharacteristically subdued. “I trust you not to say anything to anyone about why I’m canceling on you, but I’ll tell you the truth. I really have to get to the bottom of my health problems once and for all. I’m in no condition to meet with anyone and am going to go on an extended medical leave after Thanksgiving.” Three weeks later he received a liver transplant. We spoke only a few times after that. And three years later he was gone. Steve Jobs certainly was a living legend and a prima donna, as well as a journalist’s dream interview. He could be a beguiling charmer when he wanted to be and a petulant whiner when things didn’t go his way. He loved his family. Yes, he was larger than life, but life deserted him. In other words, he was as human as they come. 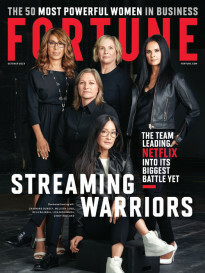 A version of this article was originally published in the November 7, 2011 issue of Fortune.